In antiquity it was famous for its riches. The wealth attracted many foreigners, from Greeks to Mongols, who charmed by its wealth, came and settled in the country. 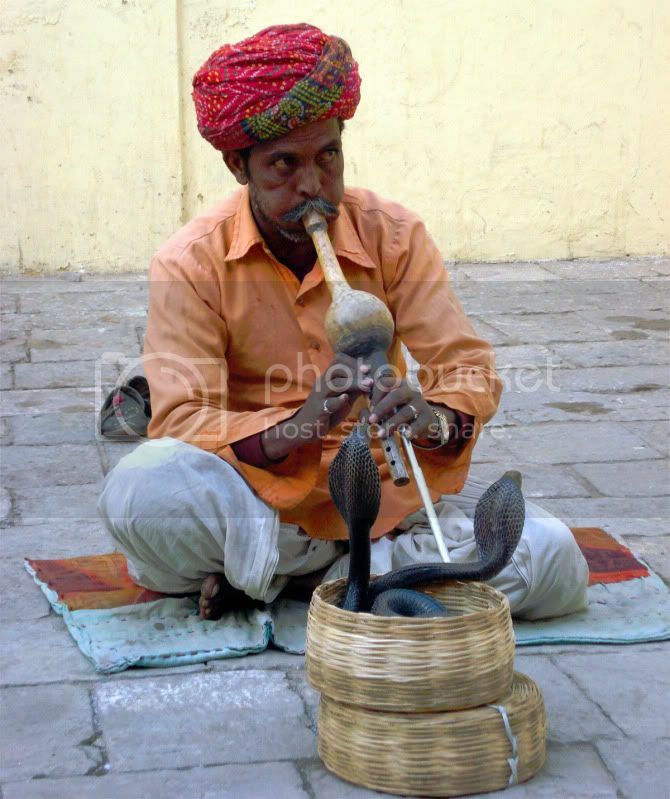 Then came the British who brought home memories of magic, snake charmers and numerous gods. In the latter part of the 20th century, it was popularly known for its spiritual gurus and yoga. Come 21st century and people know India as the land of inexpensive software industry and outsourcing. In fact, a whole treatise can be written merely on how the country has been viewed during its long history by the foreigners. In addition, as India is also the birthplace of yoga, in the latter part of the 20th century, it was popularly known for its spiritual gurus. Fast forward to today, many people still choose to travel across the globe to experience a yoga retreat in India. India is a fascinating country. It’s the world’s seventh largest country by land area, but that has yet to help reduce phenomenal crowd in its cities. After the United States, China, and probably Japan, it is the world’s third or fourth largest economy. But that wealth trickles down to very little when divided among the 16 per cent of the world’s population that calls India home. It has a vibrant IT industry, an ambitious space program and, at the same time, world’s largest population of illiterates. It’s a country of contrasts where you often encounter extremes. Culturally, India is diverse and religion still plays a major role in everyday life. Hinduism is practiced by more than three-quarters of the population. Hinduism is often humorously called as the only religion in the world where the number of deities exceeds the number of believers. Strictly speaking, however, that’s not true. Nonetheless, with around 8.4 million gods and goddesses, there is much variety. Islam is the next most popular religion in the country; more than one-fifth of the population practices it. That makes India the second most populous Muslim nation. Then there is Sikhism, Christianity, Buddhism, Jainism and tribal religions in the central and north eastern parts. Also, we shouldn’t forget some Andaman Islands where still live an aboriginal population that hasn’t changed much since it left Africa many millennia ago. India is as diverse linguistically and culturally as religiously. The country is divided into 28 states and 7 Union Territories (managed by the Federal government). Each state boasts of a separate language (or at least a different flavour in Hindi speaking states) and its own culture. The Punjabis in the state of Punjab are famous for their vivacious attitude and their love of dance, chicken and booze; the Gujaratis are, on the other hand, strictly vegetarian and entrepreneurial. The Bengalis have given Asia its first Nobel Laureate. They boast of a long literary tradition. The culture in the four southern states is markedly different from the north. Also, the culture of people in the north east of the country shows tribal influence. Weather culturally, linguistically, economically, religiously, or in any other way; India is at least as diverse as any continent. Some states are bigger than many countries and there are such huge differences even between the states that would easily qualify them as separate nations. Fortunately that hasn’t happened as a feeling of being Indian still runs deeper than any religious, ethnic or state identity. India is a large country located in South Asia. It is the oldest continuously inhabited place on the planet after Africa. The earliest traces of humans in the subcontinent date back to more than 70,000 years. Signs of a civilisation first appear around 7,000 BC in Mehrgarh, Balochistan (Pakistan). This Stone Age civilisation thrives in the region before the famous cities of Harrapa and Mohenjo-daro rise around 3,300 BC. The Aryans’ coming to India around 2,000 BC marks the end of Bronze Age and the beginning of Vedic civilisation. This is also the era when the Sanskrit epics are composed. The world’s oldest known book, Rig-Veda, is written in this period. The birth of Buddha and rise of Buddhism around 500 BC closes this chapter of Indian history. Chandragupta Maurya founds the great Mauryan Empire in 321-320 BC. At its zenith, the empire stretches from the deep south to as far as Afghanistan in the North. The greatest king of this dynasty is Ashoka the Great. During his reign, the Mauryans strengthen diplomatic contacts with the Romans in the west and Chinese in the east. The emperor renounces war, becomes a pacifist, converts to Buddhism and sends missionaries to far-off countries to promote peace and Buddhism. His successors prove weak and the kingdom comes to an end around 184 BC. A confederation of small Greek kingdoms springs up around the same time. Collectively known as the Indo-Greek Kingdom, the Hellenistic kings remain in power from 180 BC – 10 AD. Several kingdoms come to power after the fall of Indo-Greeks. Most of them hold influence in a small territory and are short lived. Two centuries later in 320 AD a powerful king Maharaja Sri Gupta comes to power and founds the Gupta dynasty. Much of the subcontinent remains unified under the Guptas until the dynasty comes to an end in 550 AD. In the absence of a power centre, the country is once again divided into smaller kingdoms. Muhammad Bin Qasim becomes the first Muslim to establish a kingdom in South Asia in 8th century. The next three centuries witness continuous attempts by Muslim kings to conquer India. In 1206 AD, Qutb-ud-din Aibak establishes Slave dynasty. It lasts for merely 84 years and is succeeded by Khilji dynasty (1290–1320). This trend of short lived dynasties continues until descendants of heroic warrior Genghis Khan found the Mughal Empire in 15th century. Under the Mughals, India becomes one of the most powerful and wealthy countries on the planet but at the same time, the Hindu religion had to face severe oppression. The empire, however, comes to an end in 1857 when the British East India Company defeats a hodgepodge group of Indian nationalists. The year 1857 also marks the beginning of brutal colonisation by the British who would rule the subcontinent for 90 years. The British rule ends on 15 August 1947 and India becomes a Dominion in the British Empire. Three years later, the constitution is written and India becomes a federal republic. The Kingdom of Sikkim joins the India in 1971 and becomes a state. After four decades of unsuccessful government management of economy, major economic reforms are introduced in 1991 and since then India has been a rapidly growing country. If India has become synonymous with outsourcing and the computer industry in the past couple of decades, it because of a rapidly growing IT sector in Bangalore and other Indian cities which adds billions of dollars to the Indian GDP and employs millions of people. The state of the art IT parks dotted across the country offers a glimpse of a young, energetic nation fully prepared for the 21st century. Unlike its big neighbours, China and Pakistan, India has a thriving democracy. People can’t be jailed for criticising the government, and they have the freedom to follow any religion. The press is free, the internet is not censored and federal institutions are strong. The country regularly shows up as one of the most corrupt in many international rankings. It scored only 3.1 in 2011 on the Consumer Perceptions Index of Transparency International. New Zealand, the least corrupt in the index, scored 9.5. Overall, 94 countries fare better than India. The Indian EXPRESS columnist Tavleen Singh once wrote, she had travelled to some of the poorest African nations but nowhere did she find as much filth as Indians have to encounter every day. Roads full of pot holes; kitchen waste, faeces and animals on street are common features of a typical Indian town. 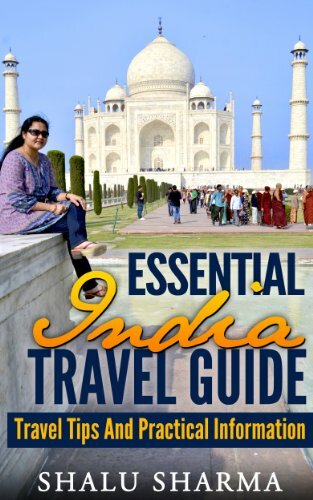 “I was standing at an airport looking for the Air India counter. Amongst the queues I noticed a group of people shouting and fighting; and over them was written ‘Air India. '” These are not the precise words of the author, but she said something similar in the Eye Magazine. Queues are hard to find, people rarely show up on time, traffic rules are commonly flouted and numerous other things show civic sense is India has a long way to go. Despite having one of the largest GDPs in the world, India is also home to more poor than all Sub Saharan African countries combined. Poverty in India is so extreme in some cases that people are forced to sell their children for a few kilograms of rice and wheat. A report in Hindustan Times a few months ago showed pictures of children in Uttar Pradesh eating dirt. A 2010 report by Arjun Sengupta suggested approximately 70% Indians were living on less than US $1.5 a day. At the same time, the number of dollar millionaires is on the rise. The wealth of India’s 100 richest families is more than one-fifth of the annual Indian GDP. Of the 28 Indian states, seven in the Northeast and Kashmir in North are under Special Armed Forces Act. This provision permits police and other law enforcement agencies to shoot on mere suspicion. The aim is to control various insurgency moments in these states. Add a powerful army of several thousand armed guerrillas in some central states and close to one-third of the country is suffering from armed right-wing, left-wing and nationalist moments. If I were asked under what sky the human mind has most fully developed some of its choicest gifts, has most deeply pondered on the greatest problems of life, and has found solutions, I should point to India…Max Mueller, German scholar. India a land of diverse culture, landscape, religion; offers various places to see from Kashmir in the north to Kanyakumari in the south, and from Gujarat in the west to Arunachal in the east. 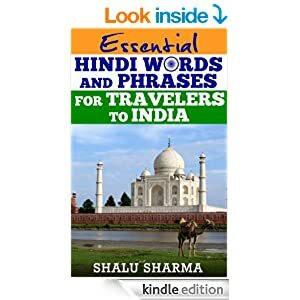 Each destination of India has its own unique culture, language and heritage; there no doubt that the country has lots to offer to tourists. The Himalayan Range in the northern part of the country has exotic destinations like Uttaranchal, Kashmir, Delhi and many more. The Taj Mahal in Agra is one of the wonders of the world. Rajasthan, Gujarat and Maharashtra in the west have a multitude of options too for the traveller. The southern part has magnificent beaches, wildlife and backwaters; perfect ingredients for a unique holiday. The eastern part of India has untarnished jewels as well in Manipur, Mizoram, Sikkim, and Orissa among others. From places of historical and religious significance; wildlife sanctuaries and national parks for the nature lovers; exotic beaches and hill stations; India is a land of incredible experiences. Andaman & Nicobar Islands, God’s own Country – Kerala, Kanyakumari, Pondicherry, Goa are among some of the havens for the loves of sun, sea and the sand. Picturesque hill stations and valley destinations in the form of Kashmir, Manali, Shimla, Shillong, Sikkim to name a few, offer the traveller time away from the fast city life; a welcome change and among the most sought after holidays. Varanasi, Rishikesh, Kedarnath, Haridwar, Gangotri, Badrinath, Mathura, Ayodhya , Ujjain, Kapilavastu (Piprahwa), Kaushambi, Kushinagar, Sanchi, Sankisa and Sravasti, Shirdi are among the places of religious significance where one can soak in the nuances of the various religions of India. 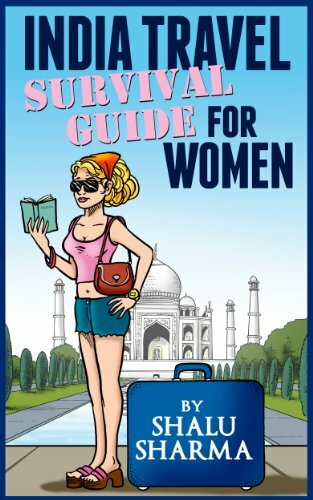 The list for the destinations in India is endless; there is a lot for every kind of traveller. Practically anyone can start enjoying what these exotic locations have to offer with just a small amount of preparation. Setting up accommodations in Shirdi, for example, is a fairly simple task, especially if you reserve a hotel online. International tourists of all walks of life are urged to explore the many regions of India, as there is surely something that will positively enrich the lives of nearly any tourist. Even an extremely brief trip to India has a life-altering potential, and it certainly can’t hurt to scope out some places at the very least. So come visit this wonderful country for a lifetime of wonderful memories. Thank you Michael. This page is all about India. I wanted to get the message across everything about India. 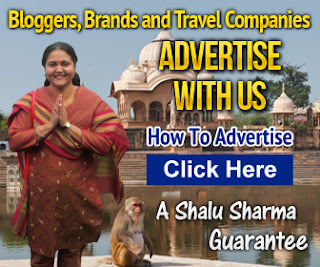 I am planning a journey to India this Christmas so i needed some more information, your website is perfect to do this. I know it is not so easy and just need tips which i have found here, thanks! Very nice website , i love the easy Hindi section with the spelling , great idea! Could i Guest posting in your blog?